The session was held at the sports ground of the specialized school No. 4, where children of two age categories from 7 to 12 years can now play football for free. So far, 40 kids take part in the project, but there are many more of those who want to join the activity, with more groups to be formed soon. - Indeed, the interest in the project is very high, - said Larisa Gribauskas, head of the department of physical culture and sports of the Dobropillya City Council. - We have a strong football potential. And the Shakhtar logo and the very opportunity to become a part of the great club are highly motivating for taking part in the regular sessions. As for our goal, we are striving to attract as many children of different age groups as possible to leading healthy lifestyles. Over the past two years, sports infrastructure has been rapidly developing in Dobropillya. There are two operating grounds, but soon there will be a third one, so we will form new groups. The Come On, Let’s Play! project in Dobropillya has been carried out by FC Shakhtar, jointly with Dobropilskyi City Council and DTEK. The club provided volunteer coaches trained by the club Academy instructors and young football players with the necessary equipment: balls, pumps, bibs, cones, whistles and other things. Dobropillya is the seventh venue of the Come On, Let’s Play! project. 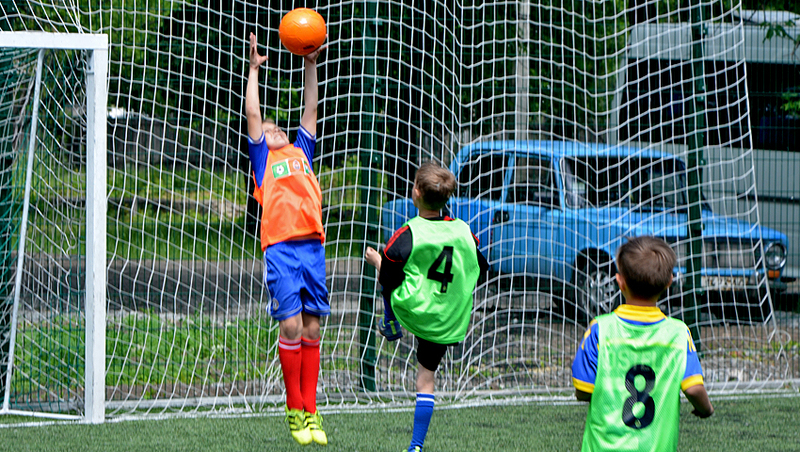 The programme for familiarising children with grassroots sports is already being successfully implemented in Donetsk, Makiyivka, Lviv, Kramatorsk, Kurakhove and Severodonetsk. Soon, the project will be launched in Kharkiv.